After a long wait and development/marketing effort from VMware, VVols are finally ready to take over your datacenter(s). VVols are the next generation, integration between vSphere and storage arrays. VVols leverage a new set of APIs (VASA) that allows vSphere to communicate with the array and provide additional features at the VM level. VVols are based on storage policies, which in turn allows for further automation between products. This storage abstraction provided by VVols, allows for the control of storage, not only at the VM level but also at the VDMK level. This is a great feature, as now you can control VMDKs as separate entities. The connections between the hosts and VVols are done through an abstraction layer known as Protocol Endpoints, which provides the user the freedom to use several protocols at once such as FC, iSCSI, or NFS. There are a few requirements for VVols. One of them is that the array vendor can support VVols. The APIs from the vendor (VASA), as well as other vendor requirements. 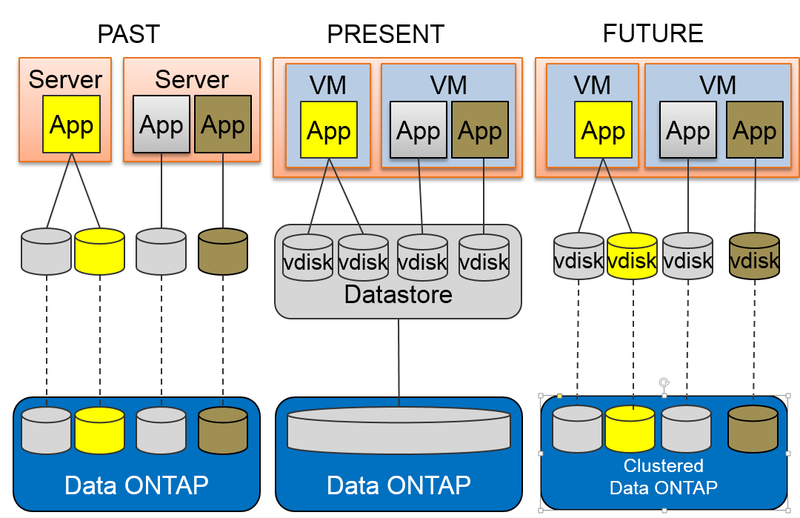 In the case of a storage array vendor such as NetApp, VSC is also required. Thanks for the post….very helpful.